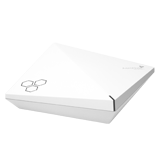 High performance, general purpose 802.11ac Wave 2 Dual-Radio 3×3:3 access point with internal antennas. 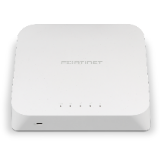 As WLAN capacity requirements soar, AP250 is an excellent choice to provide instant adaption to ever-changing capacity needs. AP250 features dual radio, 3×3:3 MU MIMO, providing full 802.11ac technology performance with data rates up to 2.6 Gbps per access point using existing 802.3af PoE infrastructure. Software defined radio allows IT managers to enable 802.11ac performance on both radios to provide the best of coverage and capacity Wi-Fi design and protects the investment. Built-in BLE (Bluetooth Low-Energy) radio enables proximity, indoor location tracking and other location-based mobile engagement services. AP250 is powerful enough to provide all the enterprise-grade features including built-in application visibility and control, RADIUS , DHCP, Captive Web Portal, location services and Spectrum analysis. Best balance of coverage, capacity and performance with software selectable radio and RF-IQ technology. Managed from public or private cloud -based HiveManager management platform. 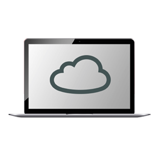 Enterprise software features including RADIUS, DHCP server, location services and spectrum analysis are combined with hardware assisted security and zero-touch deployment.